168107 starts its descent of the severe gradient linking Bicester South Junction (near the 40mph restriction sign on the far right), with Gavray Junction, on the Oxford to Bletchley route. The train is the 1T39 14:35 Marylebone to Oxford Parkway Chiltern Railways service, pictured on 1 November 2015. This newly constructed chord has a gradient of 1 in 33, making it steeper than both the Lickey Incline and Dainton Bank! However, it is only a short section, although admittedly followed by a sharp curve. 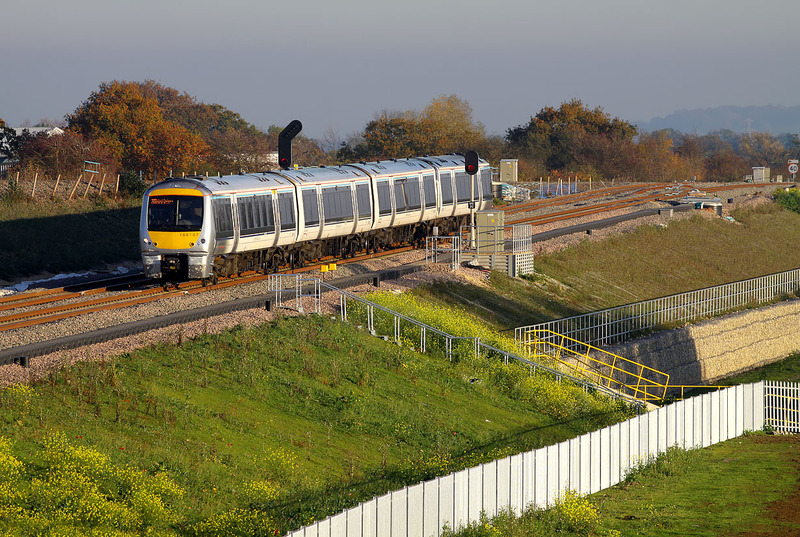 The transition in gradient can clearly be seen in comparison with the Chiltern Line, directly behind the train.